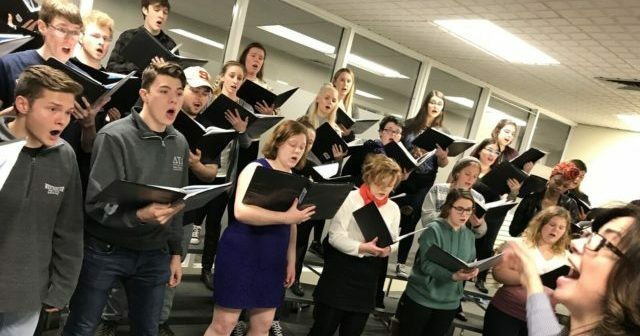 Westminster College’s Churchill Singers are wrapping up final rehearsals for their upcoming concert Caritas & Communion: Songs of Fellowship. The concert is Friday night, April 20, at 7:30 p.m. in the Church of St. Mary the Virgin, Aldermanbury. 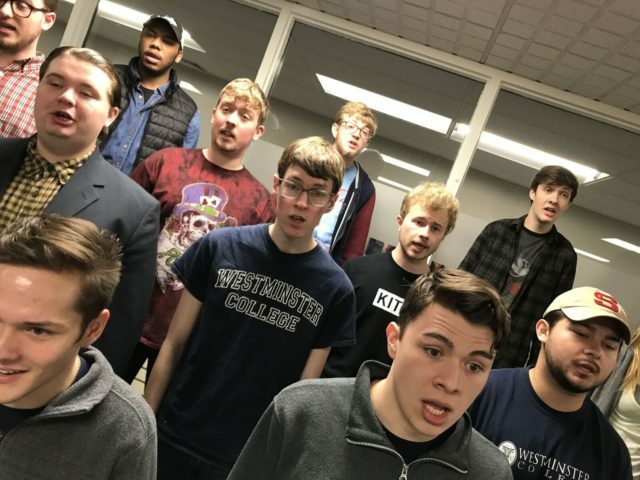 Westminster Today caught up with Dr. Natasia Sexton, Churchill Singers conductor and Associate Professor of Music, and student singers to learn more about this concert and their work together. The choir’s repertoire this semester has explored the concepts of charity (the Latin word for charity is caritas) and communion. “In a nutshell, we’re singing about fellowship. Whether the songs are sacred or secular, each one provides a window as to how our lives are made richer and fuller through acts of communion and charity,” says Dr. Sexton. 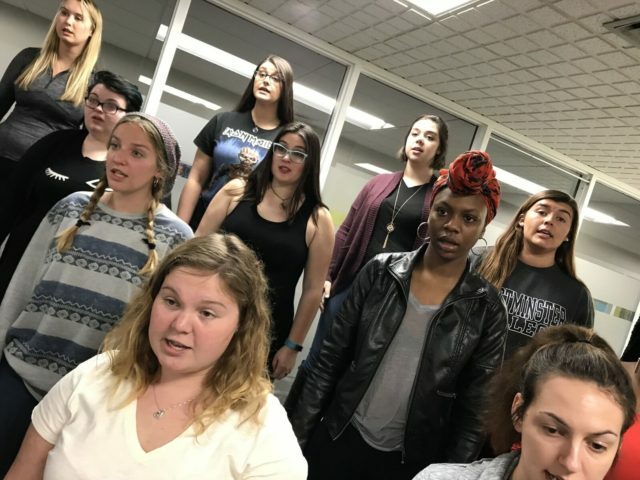 Alyssa Harrison ’18 from Little Rock, Arkansas has sung with the Churchill Singers for two years, and she suggests that this concert will be a time for the audience and singers to pause and truly appreciate where we are. “The song ‘The Road Home’ resonates with me because I was raised as an American citizen in the Bahamas with Bahamian parents, and this piece talks about finding your home in the world, about truly finding a place where you belong,” she says. The Churchill Singers are looking forward to sharing their music with guests on April 20. This concert is free and open to the public and will be followed by a coffee reception in the Churchill Memorial.